The current Stirling Smith exhibition, supported by the Friends of the Smith, sets out to show how Stirling was painted throughout the ages. Among many old friends are two new additions to the collection, gifted by Annabel Young of Dunblane and painted by the artist B Rounthwaite. Both show Stirling Castle from Raploch and date to just before the Second World War. This view of the Castle with the houses of Raploch and Charlie Smith’s farm was considered to be one of the great beauty spots of Scotland, as it was painted by many artists over the decades. One of Kelvingrove’s best paintings by David Gauld (1867 – 1936) is of this view, and he painted several for other patrons. Nothing is known of B Rounthwaite, except that his paintings have a relationship to the Stirling Smith, where he may have held some classes, as many artists did. 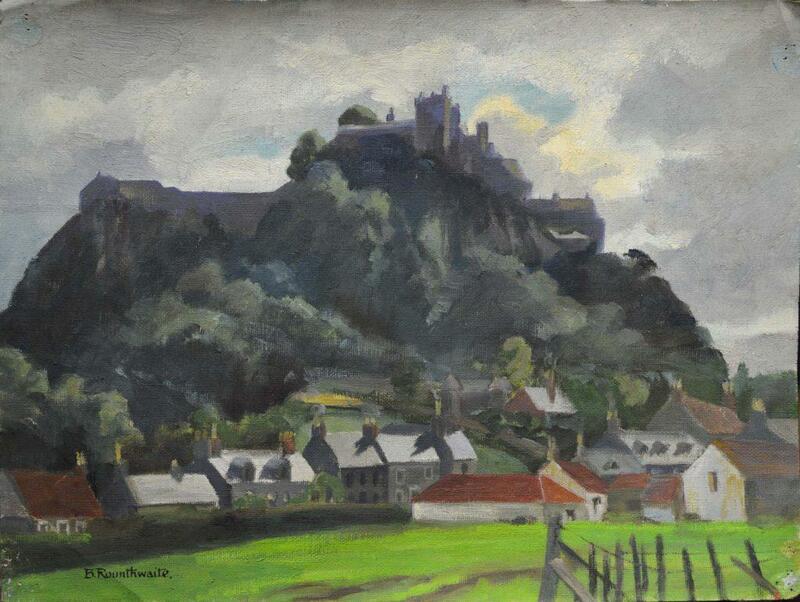 The only certainty is that he was one of hundreds of artists who came to Stirling to capture its beauty on canvas. The exhibition features work by the great Scottish landscape artists Alexander Nasmyth (1758 – 1840) and Horatio McCulloch (1805 – 1867), as well as ‘Glasgow Boys’ William Kennedy, George Henry and John Lochhead.